For precious metals, this 5-day trading session ended up being a positive one and the gains accrued by gold and silver were nothing to scoff at. This is especially true when you consider the fact that Monday and Tuesday saw precious metals lose a lot of ground. All in all, this week brought with it a lot of talking points; something that is surprising when you consider the fact that we are in the middle of the summer. By the time we open the marketplace again on Monday, investors will have plenty of month-end economic data to begin looking forward to. One of the biggest talking points this week did not end up actually coming to fruition until the early morning hours of Friday. It is at this time when the Bank of Japan announced that they have decided to increase their monetary stimulus program by only marginal amounts. Announcing that they have officially decided to increase the number of ETFs purchased monthly, the market was taken aback. The real consensus in the leadup to this meeting was that stimulus measures would be expanded by a large margin, but such did not prove to be the case. Precious metals did end up benefitting from the BoJ’s decision, however not as much as they might have benefitted would the BoJ have expanded policy even further. Still, with all this being said, Japanese monetary policy continues to play in the favor of precious metals as most people anticipate that stimulus measures are highly likely to expand further before anyone even thinks about reducing them. Earlier in the week the FOMC met for their monthly policy meeting. To be fair, there were not many people who expected the FOMC to make any monetary policy changes, so this week’s meeting was not as big of an event as the FOMC meeting usually is. By the time things had settled down on Wednesday afternoon, the market was greeted with the Fed’s decision to leave monetary policy, specifically interest rates, unchanged. In her post-meeting statement, Federal Reserve chairperson Janet Yellen offered few clues as to when we can expect rates to climb once more. In her remarks she simply commented that the US economy is strong and gaining more strength all the time. She made a point to highlight employment growth, which has been particularly impressive in recent weeks. Investors were still mostly disappointed with the meeting, however, as nothing new came of it. In the end it was nothing more than a waste of time for most people as the market did not even really react to what Yellen had to say. To be fair, this week brought with it a bunch of noteworthy headlines but nothing across the global market really changed as a result. Investors are still holding out hope that interest rates will be raised before the year comes to an end, but even this does not seem to be like a likely occurrence. 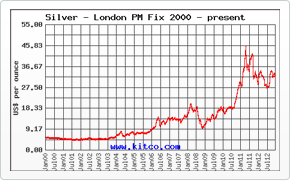 For gold and silver, the longer interest rates in the US remain at current levels the better it is. In addition, if Japan does decide in the near future to raise interest rates, you can expect that metals will receive an additional boost. All in all, the near-term and long-term futures both look bright for metals. It will be interesting to see, upon markets opening up next week, if metals can continue to rally like they did towards the end of this week. This entry was posted in Market Updates on August 23, 2016 by bsbcom.